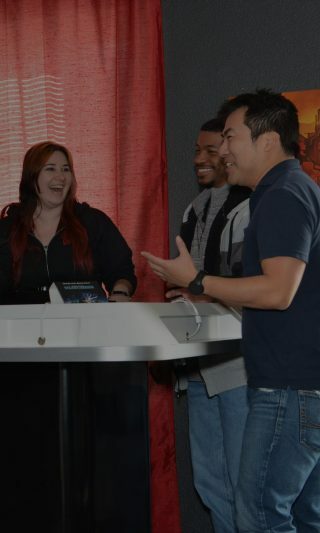 Capital Games is a mobile game studio located in Midtown Sacramento and is home to the highly successful Star Wars: Galaxy of Heroes mobile title. We are a close-knit group of passionate gamers, obsessed with the creation of genre-defining mobile RPG games, and the live services necessary to support them. You’ll notice more than just hard work while walking the halls of our historic brick building – you’ll hear the cacophony of epic console competitions, lively debates, and the rattle of dice thrown across a game board. 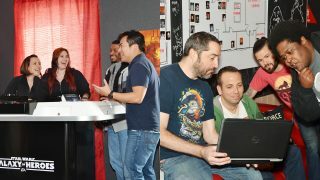 Game nights, weekly happy hours, and weekend adventures are all elements of our studio’s culture. Working downtown in America’s “Farm-to-Fork” Capital also means that a scrumptious meal is just a short stroll away. Sacramento hosts an approachable metropolitan lifestyle, where home can be established for anyone from the singleton who wants to live downtown, to the family whose top priorities are a fenced yard and great schools, all within a reasonable commute to our studio. The city fosters a vibrant urban culture through the Golden 1 Center Arena (dubbed, “the most technologically advanced arena in the world” by the New York Times), The Crocker Art Museum (one of the leading fine art museums in California), regular weekend street festivals, bustling farmer’s markets, vibrant eateries, and award-winning craft breweries and coffee roasters. If connecting to nature is more your vibe, the iconic Sierras are in our backyard in addition to many local trails for hiking and biking.